In getting to know Ms. Critic and helping former clients get to know theirs, I’ve learned some things that may surprise you. I believe that Ms. Critic’s true intention is to keep us safe. If you’re anything like me, you probably stay away from whatever the person, place, or thing is that Ms. Critic warned you about. In essence, what she’s saying is “Stop!” “It’s not safe out there.” “You’ll get hurt.” In hurting you, I believe Ms. Critic thinks she’s really helping you. She’s keeping you safe and in a space that’s familiar to you (and her), even if it’s not what you want or need anymore. Beginning to understand Ms. Critic’s true intentions is only the first step. We still need to address the pain and missed opportunities caused by her words. 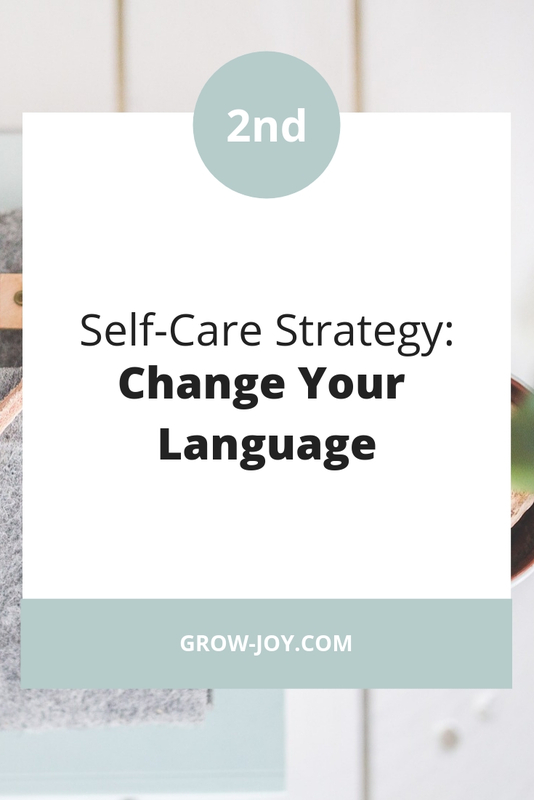 Learning to change your language is a great strategy to use if you struggle with feelings of self-doubt and insecurity as a result of negative self-talk. There are only 3 steps, and with a little practice Ms. Critic (or whatever you wish to call him/her/it) will begin to lose her grip on you and have less influence over your choices. The goal of this strategy is to help you change your self-talk instead vs. getting Ms. Critic to just go away. Remember, she really wants to keep you safe, but doesn’t know how to do it without hurting you. Increase Your Awareness— Recall a recent experience where you were especially critical towards yourself. What did your internal critic say? How did that make you feel? Replace— Now, think about what you would say to your best friend if they came to you saying those same negative things about themselves. How would you support and encourage them? Practice— Finally, practice saying to yourself what you would say to your best friend. Now, I know it’s easier said than done, since if you’re anything like me, your internal critic has been around a long time. That’s okay. Remember this is simply practice. It always takes time for us to experience change when we’ve been doing something the same way for a long time. I encourage you to practice patience and be really gentle with yourself. Give yourself permission to create a judgement-free zone as you begin to explore this strategy. Did you find this strategy helpful? If so I would love to hear about it in the comments section below. Wishing you more peace than your heart can hold. P.S. Did you find this strategy helpful? If so, I invite you back to the blog, as I’ll be sharing 3 more of my favorite simple self-care strategies over the next few weeks. If you missed the first strategy, you can find it here. Hello I'm Karla and I’m so happy you’re here! I help compassionate women and soulful introverts create and grow joy in their lives by learning how to prioritize their self-care. On my website you’ll find articles & resources about art, writing, self-care, yoga, and faith to inspire you along the way. Please note that all articles, artwork, tutorials, & content of this website are my original creation (unless otherwise stated). While it is a joy to share my work with you, please be mindful that the contents of this website are meant for Personal Use only. I am happy for you to share my work on social media as long as you credit me (Karla Lawrence) for the work and provide a link back to my website or shop. Copyright © 2018 Karla Lawrence | Grow Joy. All rights reserved. Artwork, e-books, e-courses & products are not available for resale and may not be copied or reproduced in any way without express written consent from the author. © 2018 Grow Joy | Self-Care for Compassionate Women & Soulful Introverts. Phoebe Template designed by Georgia Lou Studios All rights reserved.